Time For A Few Classics, Cheaply: Bundles And Sales Galore This Weekend | "DESTROY ALL FANBOYS!" 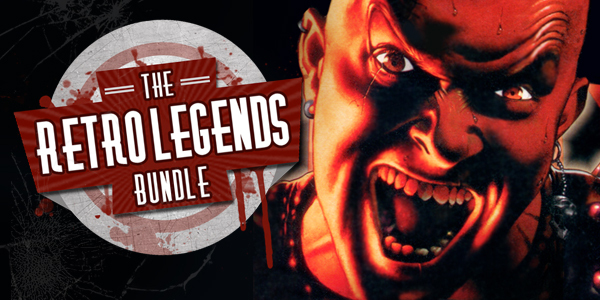 Retro Legends Bundle ($2.49): Bundle Stars does it again with this excellent mix of a whopping 17 titles for under three bucks. There’s SO much classic gaming in this instant backlog that you’ll need to invent a time machine so you can play everything and then rewind the date back to before you got into everything here. There’s a megaton of Duke Nukem content, two classic Wizardry titles, the FPS/RPG hybrid Strife and many more games that should get fans of the old school grinning. You may also want to peek at the other bundles on the site as this past week there have been some incredible daily bundle and single game deals listed. IndieGala Friday Special Bundle ($3.49): Sure, you can be a cheapskate and only pay a buck for three games. But getting nine for $3.49 makes you MORE of a cheapskate and a smarter one at that. Every indie here looks great, but I’d gravitate towards the gorgeous and weird-looking Stray Cat Crossing just because it’s excellent to see what a developer can do using RPG Maker and a lot of ingenuity. Also, poke around the site and check out the Theme Week sales and other bundles as there’s a lot there that needs snapping up. Gog.com Weekend Promo (assorted prices): If you’re wanting to spend a tiny bit more on individual titles in a few genres, look no further than the nice weekend sale here. There’s a nice selection of RPG, Strategy, Action and other games here for some nice prices, so you can finally grab the award-winning Banner Saga, Shadowrun Returns and a few other games you may have wanted to grab at a better price point. My money’s on Swery65’s absolutely bizarre adventure game D4: Dark Dreams Don’t Die, which I had no idea was coming to PC. Now I don’t need to buy an Xbox One (whee!). Of course, gog.com has a zillion other great deals to dig up, so I’ll let you go do just that. This entry was posted in 2015, Commentary, DAF, Humor, Updates and tagged Bundle Stars, Bundles, Buy These Games!, Charity, DEALS, Digital Games, Downloads, gog.com, Indie Games, IndieGala, PC, PC Games, Sales!, STEAM, Valve, VGA 101, Videogame Appreciation 101, Videogame Trailers, YouTube by geelw. Bookmark the permalink.